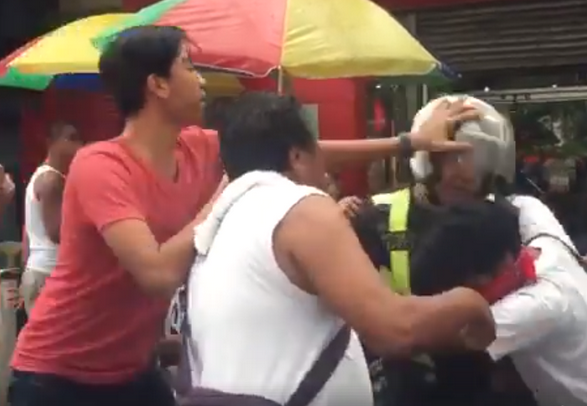 Anti US supporters, lead by Bayan Muna, started an illegal rally in Mendiola during the ASEAN summit, carrying a banner with the words “Fight the Fascist US-Duterte Regime” with their faces shown, trying to go through the police barricade and reach United States President Donald Trump. Photos and Videos were taken and immediately uploaded on Twitter that went viral instantly, especially the video of men attacking an officer from his motorcycle, that was shared from other social media. 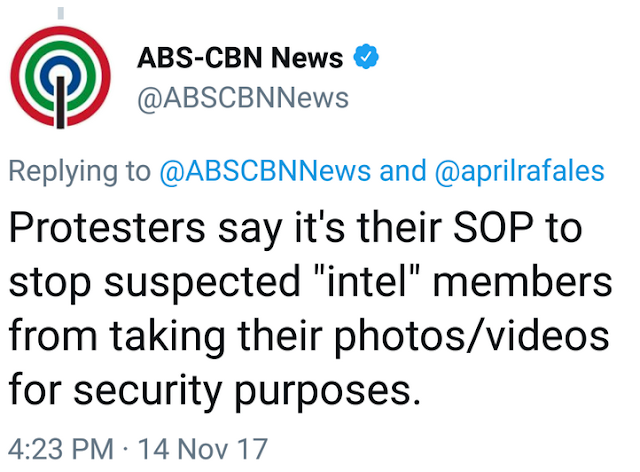 According to them, the officer took a video and picture of their Protests which is an SOP of their protest for security reason. is said that the crowd got mad when the officer took their photos and videos with his phone. 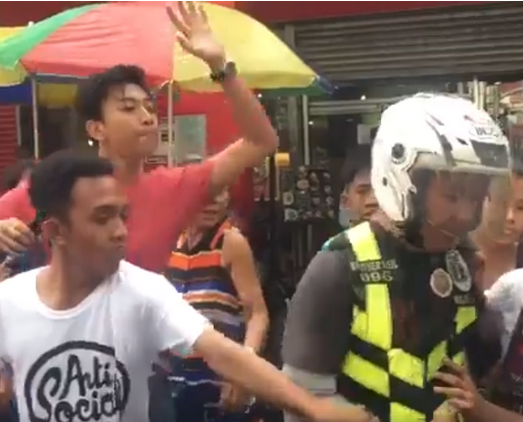 In the video, you will see these men attacking the officer who came from his motorcycle. Still wearing his helmet, he can't do anything but to let them, because he is outnumbered. If you’ll try to observe the video, cameraman from an unidentified station was spotted taking video, that made people wonder why he was allowed. 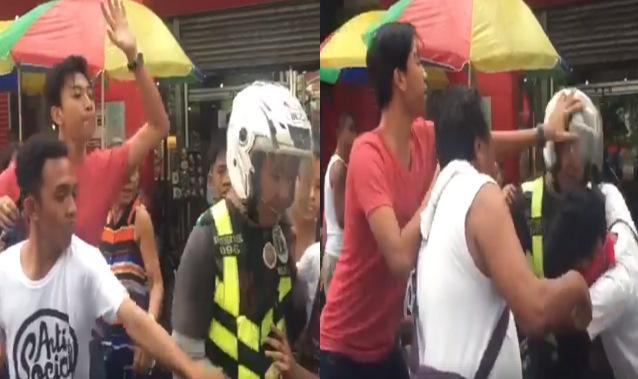 There is an speculation going on that the cameraman was from ABS-CBN. ABS-CBN released a tweet saying that it is the protesters' SOP to prevent "intel" from spying on them, a few hours later. These are what you call criminals. Illegal protests? Assaulting bystanders? Lock them up! elabas mo ang picture! elabas mo yan!! put*** in* mo! Burahin mo yan! GUSTO NAMIN VIDEO! !